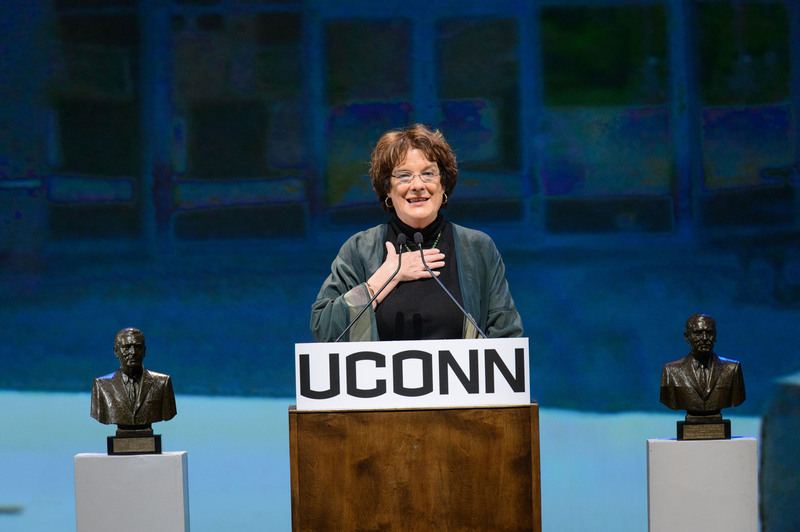 The Dodd Prize is awarded biennially by the University of Connecticut and is presented to an individual or group who has had significant impact advancing the cause of international justice and global human rights. 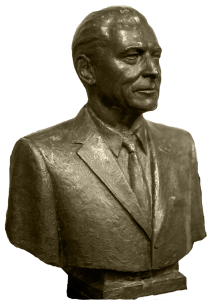 The prize commemorates the distinguished career in public service of Sen. Thomas J. Dodd who, as Executive Trial Counsel to the International Military Tribunal at Nuremberg and a Connecticut Senator from 1959 to 1971, fought against the violation of human rights in the United States and around the world. 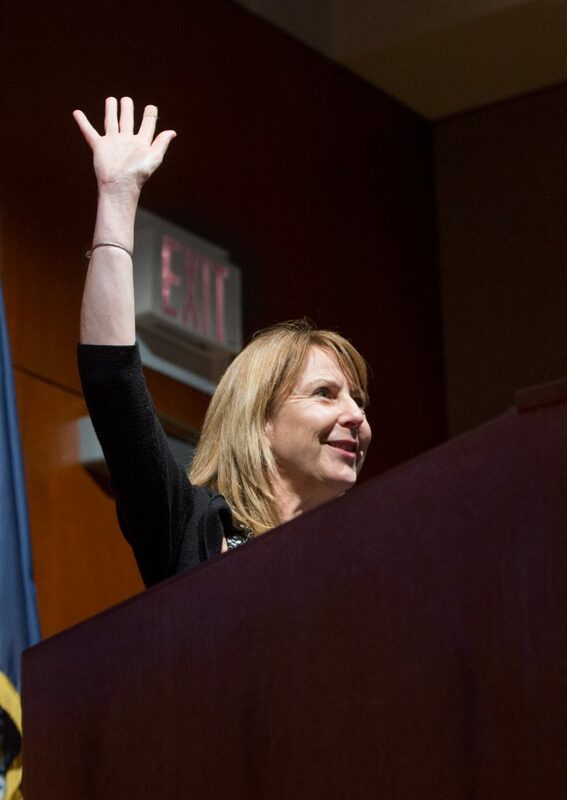 Donna McKay, Executive Director of Physicians for Human Rights, speaks during the award ceremony for Thomas J. Dodd Prize in International Justice and Human Rights held in the Simon Konover Auditorium of the Dodd Center on November 2, 2017. Individuals and groups may be nominated for the prize by members of the Thomas J. Dodd Research Center Advisory Board, by previous winners of the Dodd Prize and other prominent human rights organizations and practitioners, and members of the public. Self-nominations are acceptable. Nominator information including, name, permanent address, telephone number, email, and relationship to the nominee. General nominee information including, name, permanent address, telephone number, and email, and website. Background information on the nominee and their efforts to support the human rights movement nationally or internationally and, in particular, their specific human rights interest. Description of how the human rights work of nominee aligns with the strengths of the University of Connecticut's human rights programs. Describe the impact of your work (individual or organization) in your home country, the world community, and on other human rights programs in general. Describe how you have used innovative practices (individual or organization) to support your cause and how your advocacy has affected human rights practices nationally or internationally. Describe how the prize will be used, and the sort of impact you anticipate the prize will have on your ongoing outreach efforts. Attach supporting documentation including annual reports, pamphlets, newspaper clippings, websites, books or any other publication or data that you deem appropriate. Attach two letters of support. Alignment between nominee’s work and the strengths of the University’s human rights program*. *Nominators are encouraged to consult the Dodd Center's website, as well as that of the UConn Human Rights Institute for current areas of emphasis.